For more than three decades, Joseph Tunick Strauss, engineer/president, HJE Company, has strived to advance the powder metallurgy (PM) industry through engineering and ingenuity. He was the first to commercially offer turn-key small-scale high-performance gas atomizers and publish on the use of elevated temperature gas for atomization. Strauss formally introduced PM to the jewelry industry and continues to develop press-and-sinter and metal injection molding (MIM) technologies for them. He helped unite the PM and additive manufacturing (AM) communities and assisted in the formation of the AMPM conference. Strauss is a member of many professional technical societies, has served on the APMI Board of Directors, and has been on the Metal Powder Industries Federation (MPIF) Conference Committee for many years. He has received many awards including the MPIF Distinguished Service award in 2013. Strauss reviews technical articles for several technical publications including the International Journal of Powder Metallurgy. 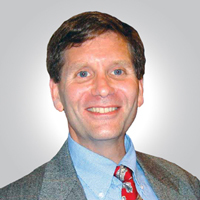 John L. Johnson, vice president, Elmet Technologies, has dedicated over 20 years to research and development of processes and products for the PM industry, including pioneering rapid prototyping of metals via selective laser sintering for desktop manufacturing. He has authored or coauthored more than 100 technical papers and, as an editorial committee member, reviewed over 200 technical articles for various technical journals including the International Journal of Powder Metallurgy. Johnson has served on many committees and association boards including the APMI Board of Directors and the MPIF Technical Board. He has been a co-chairman of the Tungsten, Refractory and Hard Materials Conference and continues to organize numerous Special Interest Programs for the annual POWDERMET conferences. While wrapping up his Ph.D. at The Pennsylvania State University, Johnson was a recipient of the 1993 CPMT/Axel Madsen Conference Grant in the early years of the program. Established in 1998, the Fellow Award recognizes APMI members for their significant contributions to the society and high level of expertise in the technology of powder metallurgy, practice, or business of the PM industry. Fellows are elected through their professional, technical and scientific achievements, continuing professional growth and development, mentoring/outreach, and contributions to APMI International committees. Editor’s Note: For further information contact Turner Abbott by email or call (609)452-7700.